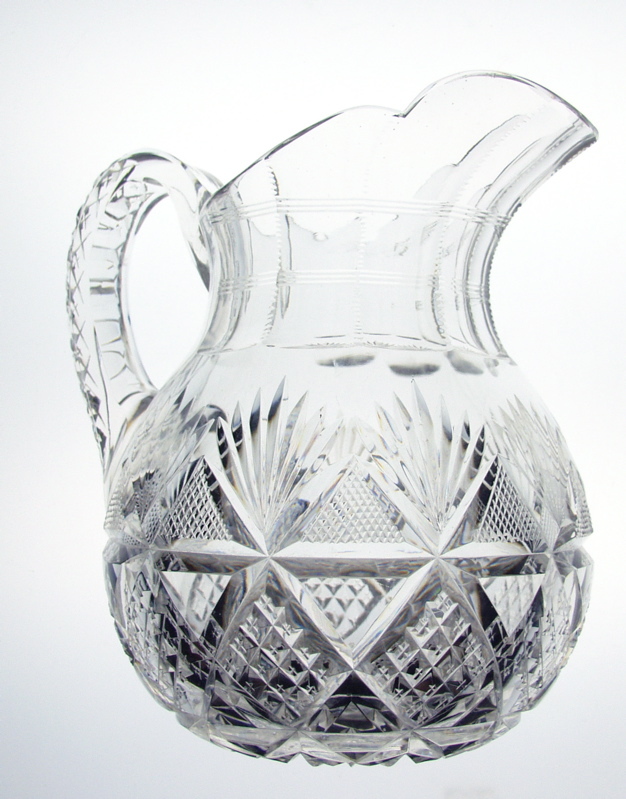 This is a particularly attractive milk pitcher in Dorflinger’s Old Colonial pattern. The pattern lends itself to this shape and displays perfectly. 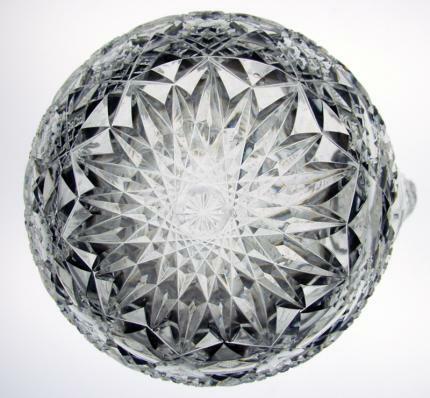 The Colonial pattern is made up of split diamonds featuring a plain and cross-hatched triangle. Also included in the pattern are diamonds of strawberry-diamond cutting. Fans finish out the pattern. The base has a beautiful 20-point hobstar and the handle is finished in strawberry-diamond cutting. 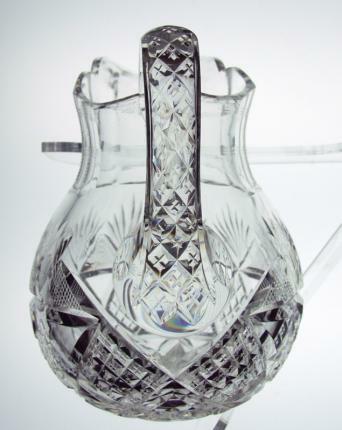 The lip and neck of the pitcher is fluted and notched. The pitcher is wonderfully wood wheel polished and in perfect condition. It measures 7 1/4″ and 5 3/4″ tall.